Forbo Marmoleum Splash appears subtle from a distance but features surprising pops of color up close. 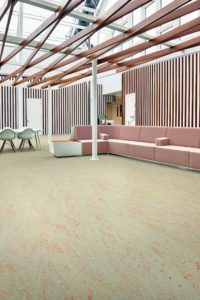 Forbo Flooring Systems has introduced Marmoleum Marbled, a collection of modern classic designs inspired by the beauty of nature. 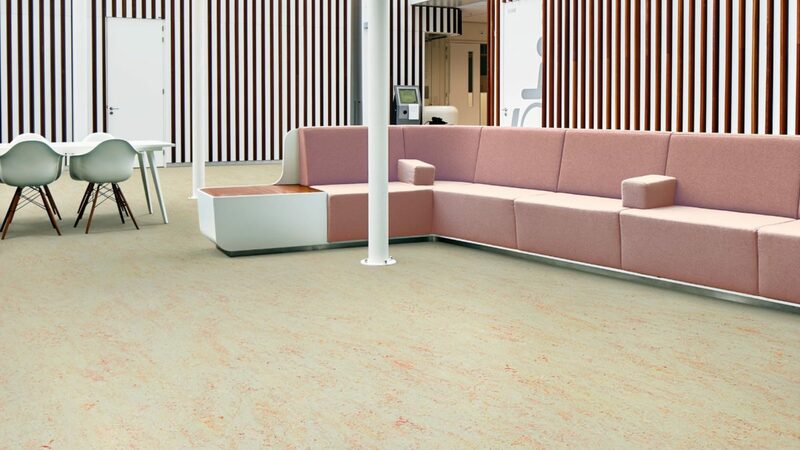 The range includes two new patterns, Marmoleum Splash and Terra. Splash is a fresh, playful design which appears subtle from a distance, but features surprising pops of color up close. Marmoleum Terra features a sophisticated small-scale marble structure that was inspired by ingenious rock types and pairs well with other natural materials such as wood and stone. The Real, Fresco and Vivace lines have also been refreshed with shades that reflect nature and current interior design trends. Marmoleum Terra features a sophisticated small-scale marble structure that was inspired by ingenious rock types. Made from natural, renewable ingredients, Marmoleum Marbled is a CO2 neutral collection as each m2 of Marmoleum Marbled actually makes a negative contribution of -4 grams of CO2 emission. This unique environmental performance is created by the fact that the amount of CO2 emitted during the production chain is entirely set-off against the CO2 that is absorbed by the natural raw materials (plants, trees and crops) during their life time before being harvested. The life cycle process of Forbo’s Marmoleum is documented in an independent Environmental Product Declaration (EPD) which is third party verified. Forbo’s sustainable horizon focusses on circularity and healthy buildings, the Marmoleum achievement of reaching a CO2 neutral status is a major achievement in our endeavour to create better environments. 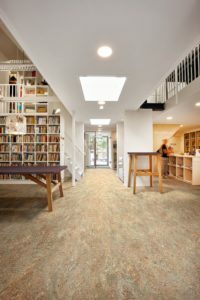 View the collection at www.forboflooringna.com. McMorrow publishes weekly newsletters: Airports, Commercial, Education & Government, and Healthcare. © 2019 McMorrowReports | Web services by TAG Online, Inc.